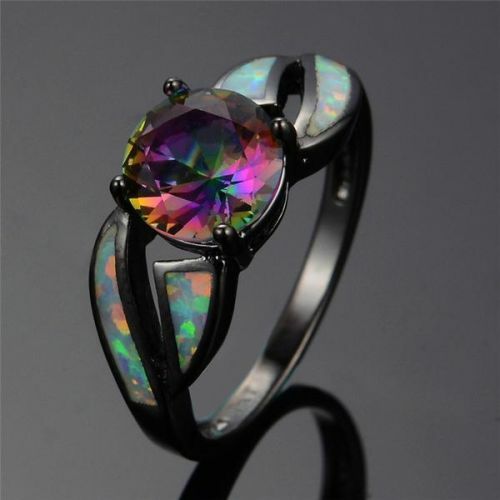 Gorgeous Black Gold Fire Opal Ring! Made of Black gold. The stones are Opal CZ.